World's best boots. And much more. From the catwalk to the shoemaker's craft, perfected over time, one name says it all: Clarks. As the world's number one in everyday shoes, designer, innovates, manufactures and sells Clarks more than 50 million pairs of shoes each year. Clarks was founded in 1825 by the brothers Cyrus and James, and is still a privately owned company and is based in the birthplace of Street, Somerset, UK. 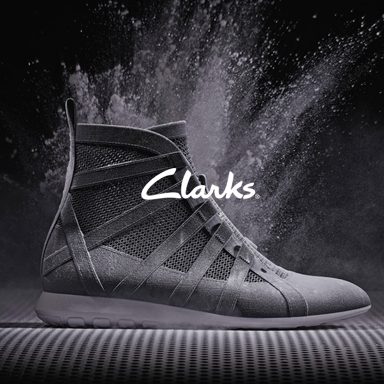 Today, Clarks is a global company selling shoes in over 35 countries around the world. While Clarks continues to grow and renew, Clarks never forgets the values that made them the business they are today - treating customers, partners, suppliers, and each other with honesty, integrity and respect.